Are you looking for a great tool for students to self assess their narrative writing? These checklists are a great resource to help students start to recognize themselves as writers and think about goals for themselves. 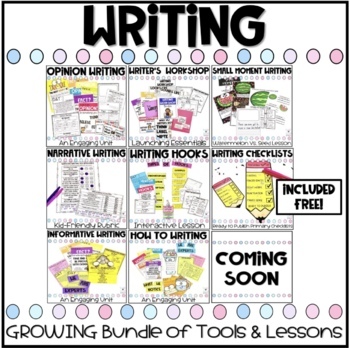 If you like these, you'll love my writing resource bundle! 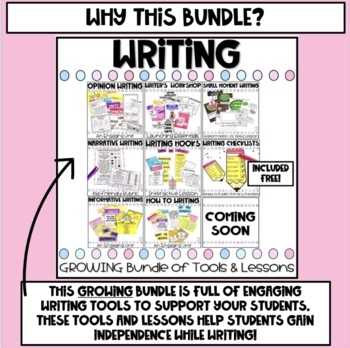 Are you looking for a fun hands on ways for you kiddos to practice their writing skills? 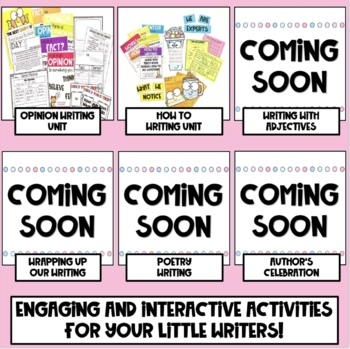 Check out these fun interactive activities! There are different kinds of activities to help your students go through the entire writing process including peer editing and goal setting. These resources will help your students reflect on their writing and become successful writers. 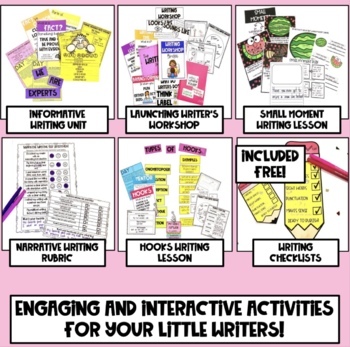 If you like this, you'll love my other hands on resources!